It's Friday once again and it seemed to have gotten here a little quicker this week after Labor Day...that or it's just been crazy busy! Either way, it's time for Kid Favorite Friday! 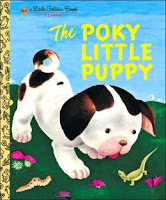 This week, I thought it would be fun to look back into the The Little Golden Books. They have been around for so long. The pictures are fantastic and the stories are great for kids...and parents alike. My list could go on, but these were some of my favorites and some of my kiddo's favorites. They are all just so much fun. 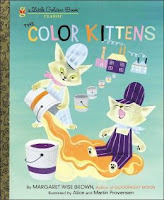 And the one thing that I love about Little Golden Books, they are timeless. Books that kids were reading 50+ years ago are still being read by parents and kids today. What were some of your favorite Little Golden Books? I love Little Golden Books! They are among my favourite presents when I go shopping for a newborn baby!